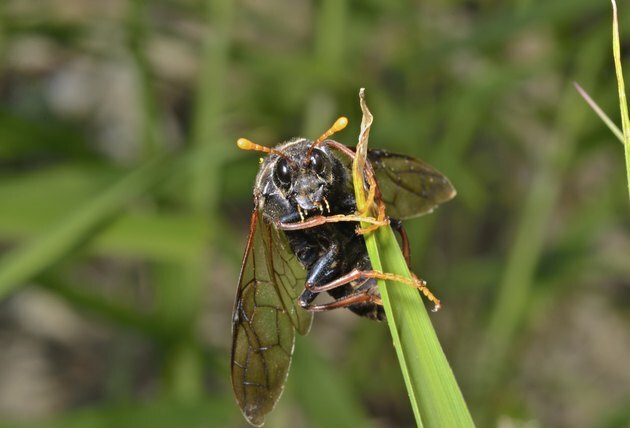 Whether they bite at your ankles, form an annoying insect cloud around you or destroy your lawn with their feeding, flies on your lawn interfere with your outdoor activities. Crane flies, frit flies, mosquitoes, gnats and midges all like to spend time in a lawn. The best method to eliminate fly pests depends on the type of flies infesting your lawn. Crane flies look like oversized mosquitoes, but they do not bite. Their larvae feed on grass roots causing dry patches. Birds, including starlings and robins, eat adult and larval crane flies. 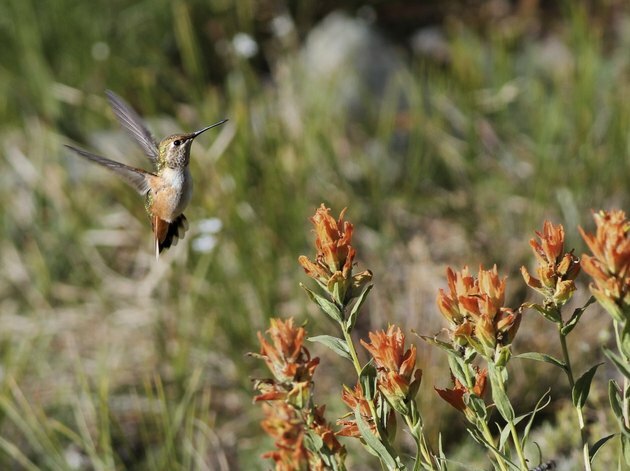 Hummingbirds eat smaller midges and gnats that hide in the lawn and form cloud swarms when disturbed. Bats eat thousands of mosquitoes each night and predatory insects, like dragonflies, ground beetles and wasps, help keep other fly populations in check. Attract natural fly predators to your yard by putting up small bird or bat houses. To attract fly predators, avoid using insecticides in your garden. If natural predators don't kill off your fly pests, bacteria can help. Bacillus thuringiensis israelensis is a naturally occurring soil bacterium you can buy in tablet, powder and liquid form at garden centers. It kills the larval forms of flies, including mosquitoes and gnats. While adult mosquitoes favor lawns, their larvae live in water, including artificial ponds and rain barrels. Bti is available in disk form for water. 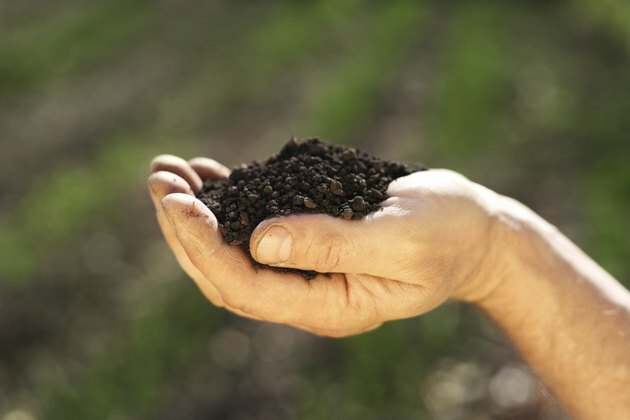 Use one disk in ponds up to 100 square feet and one-fourth of a disk in rain barrels. Do not apply disks to natural water bodies or drinking water and avoid contact with eyes and clothing. 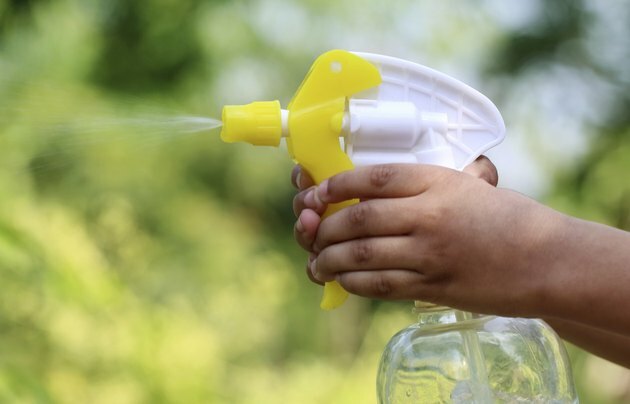 For gnat control, mix 1 to 2 teaspoons of Bti concentrate per gallon of water and drench the lawn with a garden sprayer. Wear a long-sleeved shirt and pants and avoid inhaling the spray. Refer to the label instructions for rates and safety information as products can vary. A microscopic nematode, Steinernema feltiae, enters crane fly or gnat larvae where it reproduces and releases lethal bacteria. Available at garden centers, these nematodes should be applied on cloudy days or at dusk because they are sensitive to light. Mix 1 teaspoon of the nematode powder in 1 gallon of water. Use a garden sprayer to immediately apply the solution to the lawn. Shake the sprayer repeatedly to avoid settling of the nematodes at the bottom of the sprayer. Keep the lawn moist over the next seven days to keep the nematodes alive. 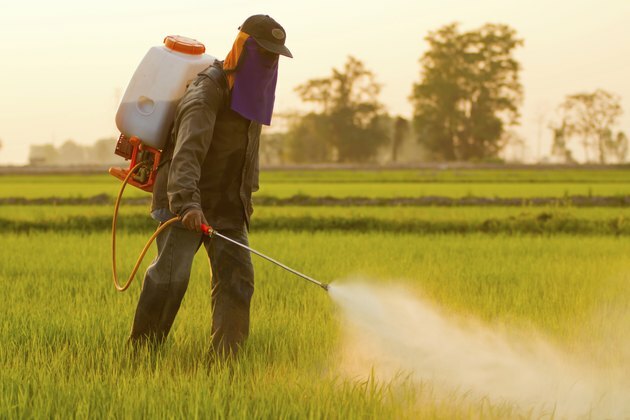 When predatory, bacterial and nematode treatments fail, and when flies remain a serious threat to plants and people, you may need to resort to a chemical treatment. Pyrethrins are plant-based insecticides that target the nervous system of insects on contact. Pyrethroids are manmade chemicals that mimic the effects of pyrethrins. Most of these products are sold as ready-to-use aerosol sprays but they must be sprayed directly on the insects. These chemical treatments kill most insects, including the helpful ones. Use these sprays only when all other methods fail and follow the warnings and instructions on the label. Are Mosquito Dunks Safe for Pools?